27 years, 10 months, 16 days old age. Ben Stokes will turn 28 on 04 June, 2019. Only 1 months, 14 days, 21 hours, 26 minutes has left for his next birthday. Ben Stokes has celebrated the total number of 27 birthdays till date. See the analysis by days count and bar graph. 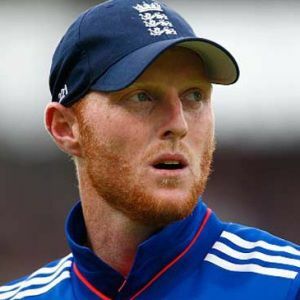 Ben Stokes was born on 04-06-1991 in Christchurch, Canterbury, New Zealand. He is a New Zealand Cricket Player. Ben Stokes' aggressive intent and powerful frame, has made a believer in the English fans that this man can soon fill in the shoes of Sir Ian Botham and Andrew Flintoff. He is one of the hardest hitters of the cricket ball and is England's go-to man with the ball. His out fielding has won matches for his sides. All and all a complete package and somebody who was indeed born to play this sport. He takes on the challenge and even though he has taken into cleaners by the opposition, he has proved that he might go for runs but is a wicket-taking bowler. Sir Ian Botham has praised him by saying Ben Stokes is actually a box-office stuff. His stint with the sport started from a very young age. At the young age of 18, he was contacted by English county side, Durhan. He showcased what all he got at the 2010 U-19 World Cup. He scored with the bat and took wickets with the ball in his hand. In the field, he was an absolute livewire. He soon made his First Class debut after coming from the World Cup in 2010. In his debut FC match, he made a 50 and also took a wicket. Stokes made an impact very early in his career by scoring a magnificent hundred in just his third test match. He was out of nick in the home series against India and therefore was not included in the squad for the 2015 World Cup. Since then though, he has been a consistent player for England. He has scored prolifically and taken wickets when his team needed. He is presently the biggest match-winner for his side. In 2017 player auctions at the IPL, he created history by becoming the highest paid overseas player when he was bought by the Rising Pune Supergiant at whopping 14.5 crores. He justified the prize money by winning most of the matches for his side, single-handed. He was the main reason for his team RPS qualifying for the finals. After the pub brawl, he was suspended by ECB and missed out on the action for the next six months. His form also dipped during that period and hasn't been able to repeat his performance. He still has managed to retain his place in the side after comeback. With youngsters like Sam Curran knocking the doors, he will have to keep up with his performances. He was bought by Rajasthan Royals in 2018 for 12.5 crores. He, however, was one of the biggest duds of that season. His franchise has still shown faith in him and will expect him to make amends for the last season. He was born to Gerard Stokes and Deborah Stokes. He is married to Clare Ratcliffe and together the couple is blessed with 2 sons. He was born and brought up in New Zealand till the age of 12. His father was a renowned former rugby player. Stokes also played Rugby till the age of 14 and was also a decent player. He has motivational tattoos in his arms. His left arm tattoo reads, Being the best that you can be is only possible if you desire to be a champion and your fear of failure is non-existent. He was hit by 4 consecutive sixes by Carlos Braithwaite in the 2016 ICC World T20 final. He has scored the second fastest test double hundred in the history of test cricket by scoring it off just 163 balls.